The Healthy Back Bag is one-of-a-kind! And used by men and women - for work and weekends - town and country - the beach or the outback. Non-slip strap, body-hugging contours, sizes to fit all and multiple ways of wearing, make this the most comfortable bag you'll ever own. The more places a back pack touches when you wear it the lighter it feels, and that's the secret. The Healthy Back Bag moulds to the contours of your spine, distributing weight evenly across your back. So no pulling, no straining, no crooked necks or uneven shoulders. 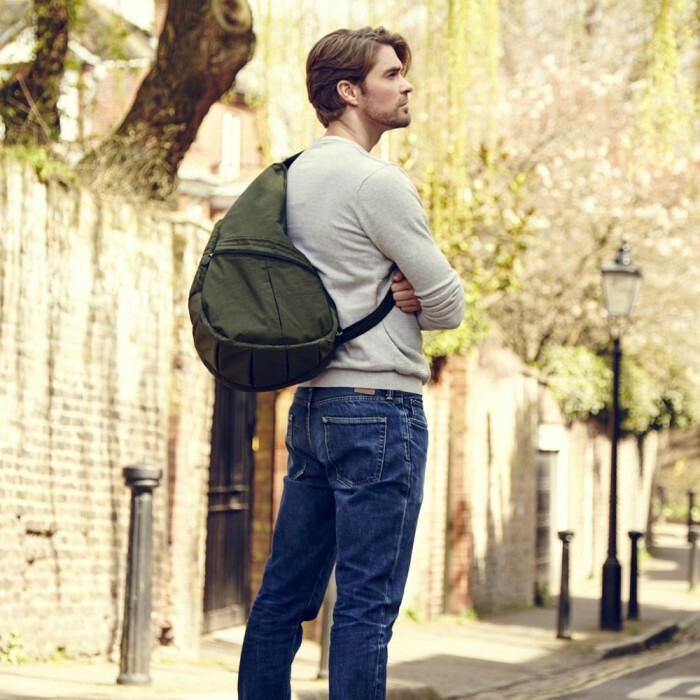 Security is paramount to you, so the backpacks unique design makes it difficult for anyone to get to your contents. A amazing all-rounder with spacious 15 litre capacity. 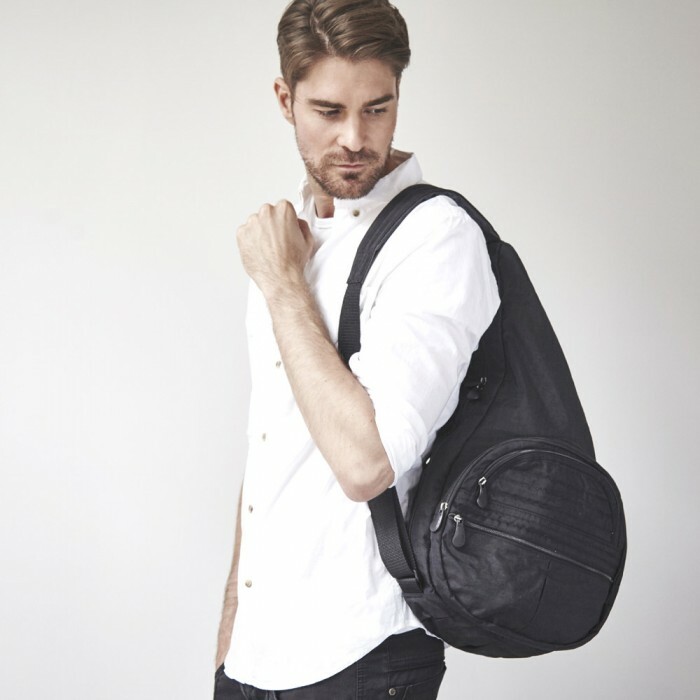 Made from our stylish Black Textured Nylon, this Big Bag is lightweight, machine washable and hardwearing and has an extra wide padded strap strap for comfortably carrying more than usual. These bags feature multiple pockets to keep your stuff organised and we especially love the insulated bottle pocket which keeps drinks cool in the summer and warm in the winter, as well as the detachable matching pouch to keep valuables or gadgets separate.